Why choose a Fred. Olsen Cruise Lines mini cruise break? Experience small ship cruising without committing to a week or two at sea with Fred. Olsen Cruise Lines. 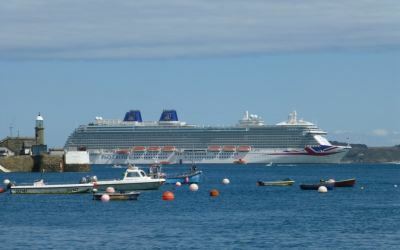 The trusted British-style cruise operator has a range of short taster mini cruise breaks planned for 2019/2020, conveniently sailing from ports dotted along the British coastline. Fred. Olsen Cruise Lines can be traced back to 1848 when three Olsen brothers – Fredrik Christian, Petter and Andreas – bought their first ships and founded an international shipping company in Hvitsten, a small town on Oslofjord in Norway. The Fred. Olsen group, now with headquarters in Oslo and Tenerife, operates companies within the cruise and passenger shipping trade, and also has interests in the luxury hotel sector, estate management, property development, and electronics companies. The Fred. Olsen Cruise Lines cruise ship arm is based in Ipswich, Suffolk, and operates a fleet of four small sized cruise ships. Each ship boasts heritage, elegance and character. Importantly they all offer the familiar creature comforts of home. Purchases are made in Great British Pounds, tea and coffee making facilities can be found inside each cabin and classic British dishes can be found on the restaurant menus. Ships cater for families but lack the facilities found on larger cruise ships. During peak holiday times (school summer holidays, etc) then family orientated, parent supervised children's activities are offered on each ship aimed at kids aged between five and 11 years old. These include arts and crafts, disco's, treasure hunts and similar events. Family pool times will also be advertised on-board. Entertainment during the day and evening is offered on-board and this is in keeping with the traditional feel of the cruise line. Unlike the full-on entertainment found on large cruise ships the entertainment on Fred. Olsen Cruise Lines is more genteel. In terms of leisure activities you can find a spa on-board each ship as well as a fitness room should you want to burn off those extra calories from the delicious food included in the price. A cruise ship holiday is a step up from a mini cruise aboard a ferry and while the price reflects this, fares on Fred. Olsen Cruise Lines often represent exceptionally good value for money. If you are considering booking a mini cruise and want the facilities, charm and character of a boutique hotel then look no further than Fred. Olsen Cruise Lines. Note: Fred. 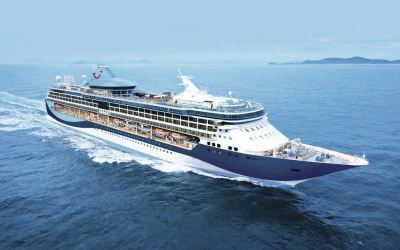 Olsen Cruise Lines doesn't normally offer 2 for 1 mini cruise deals but they do offer great value mini cruise fares throughout the year instead. Find details of upcoming sailings below. Sail from a choice of British ports, normally no flights are required meaning there's no bag limits. Drinks cost extra, aside from the in-room tea and coffee. An all-inclusive drinks packages is available ° which may be better value depending on how much you intend to drink. Fred. Olsen Cruise Lines has a fleet of four small sized cruise ships - Balmoral, Boudicca, Black Watch and Braemar. These ships are compact but perfectly formed. They offer a friendly, cosy atmosphere on-board with plenty of space to relax and enjoy yourself. The largest ship in the fleet, Balmoral, can accommodate just 1,300 passengers across 710 cabins so you can be assured that you won't find the ship busy or crowded. If you want to dip your toes into the world of cruise ship holidays then a one- or two-night cruise is ideal. If you've been on a cruise ship holiday before, perhaps not with Fred. 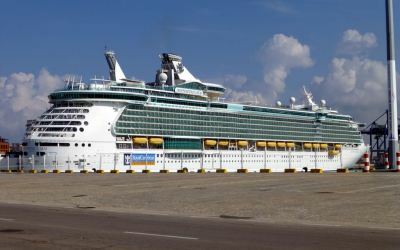 Olsen Cruise Lines, then a four- or five-night sailing would give you more time to explore the ship. Tip: Where cruises are one-way around Britain (i.e. start and end at different ports), Fred. Olsen Cruise Lines usually offers a one-way coach transfer to get you back to your starting point. Remember to include this when you book online.